If you were to look in on a class I was teaching, you would see a room full of young, happy, and engaged children, using their imaginations and learning to express their individual style. The children would be learning motor skills, basic dance technique, confidence and much more, but if you ask them, they would say they are playing and having fun. I have developed a way of working with young children that taps into their natural way of learning through play and imagination. When working with children, it's not necessarily what you are teaching them but how you are teaching them that is most important. If you bring knowledge to a child in the right way it will live and grow with them forever. Moving Joyfully is different from other dance studios in that the main goal is not only to teach dance skills, but to guide the child toward finding their own movement voice. I encourage and teach children to express themselves through movement, in their own unique style. A poet once said, "Kids: they dance before they learn there is anything that isn't music." This joyful, uninhibited expression fades so quickly in life. I believe it's extremely important to nourish this joy of movement while it still comes naturally with hopes that they'll retain it for as long as possible. I teach dance and movement foundations, but more importantly, I provide a safe, caring, and imaginative space for a child's sense of wonder and identity to flourish. I absolutely love my job. In addition to my work with little ones under age six, I work with children of any age who are not typically developing. These children can join a class or take private lessons. The teaching adapts to the needs and desires of each child. This class is for ages 3-6. Children will explore movement, improve motor skills, learn body awareness and basic dance and tumbling through imagination and play. We will enjoy dancing to songs and stories. Children will be guided in finding their own unique way of movement and expression. Classes are kept small so each child gets plenty of attention. This is a class designed for ages 5-7. We will do an hour movement lesson working on proprioception, empathy, expression, and other valuable tools all through stories, movement activities, and play. Children will be guided in finding their own unique way of expressing through movement. For the second hour we will have a guided group project, such as art or a science experiment and at the end of class children will have some free time to explore movment in a really cool environment. Space is limited so sign up ahead of time. This is a collaborative class between peers. We will mix typically developing teens with some of their non typically developing peers and we will all dance together. This is a chance to learn from each other and to support each other in a fun way. This class is for ages 1-3. The class is geared towards the children with adults joining in the fun and assisting the child in their learning. We will hear stories and explore movement together. Children of all abilities are welcome in Kellee's classes. She has worked with children with all sorts of specialties from wheelchairs, Down Syndrome, Cerebral Palsy, Blind, Deaf, Autism... basically if your child wants to dance they are welcome in my studio. The best thing to do if your child is not typically developing is to call Kellee so you can decide together which class would best suit your child. We want to invite anyone in the community to come and join us for an evening of fun. Kellee will teach a short 15 minute lesson at the beginning of the evening and the dance style she teaches will vary every month. Anyone is welcome to join the lesson. For the rest of the evening Robb (her husband) will be DJ providing some good tunes and people are free to let loose and move as they wish. This is just a time for anyone in the community to come and move maybe learn a step or two but just have fun. This is a drop in event so you can come one week or every week. There is no set fee, but donations are gratefully accepted. This class takes place at local high schools. If you are interested contact Kellee for more information. Kellee grew up dancing and tumbling in Eugene, OR. She began teaching as an assistant at age 13 and fell in love. Upon graduating from the Clark Honors College at the University of Oregon in 1997 with a major in Spanish and a minor in dance, she immediately opened her first dance studio. After a few years Kellee took a break from teaching to study at the University of Hawaii's graduate program in dance education. In 2005 Kellee opened Calliope Dance Studio in San Francisco, California. She directed the program and taught most of the classes until she and her husband felt the pull to return to Oregon. Calliope however, is still going strong and Kellee returns each year to manage backstage at the annual recitals. In 2010 Kellee started Moving Joyfully in Oregon and published a book with the same title. She teaches dance at the Imagine That! program for children ages 7-14 each summer. In addition to teaching young children, Kellee began to work more with children who are not typically developing. Kellee lead Sensory Story Time at the Eugene Public Library and taught DanceAbility classes for teens. Kellee has taught in Colombia, Panama, and India but always comes back to her roots in Oregon. There is nothing Kellee enjoys more than dancing with children. Kellee is a dancer with Halau Hula O Na Pua O Hawaii Nei. 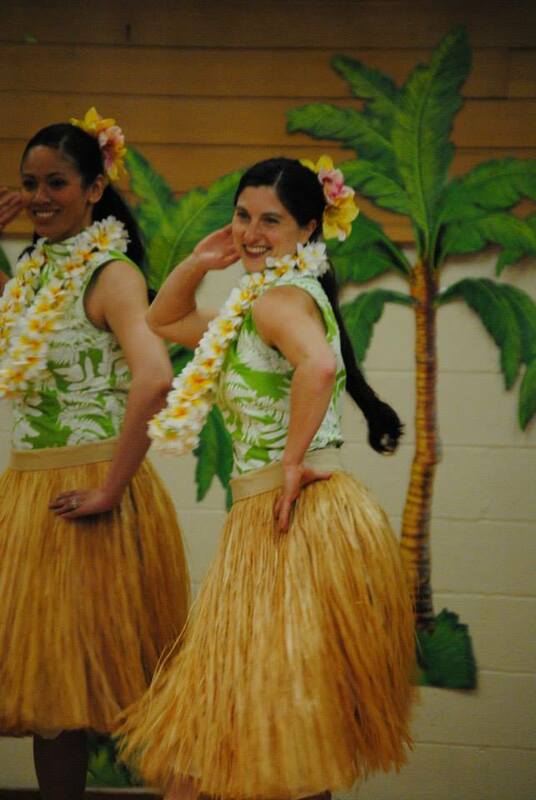 She enjoys the close relationship with her hula sisters and though she considers herself a teacher and not a performer, you can catch her enjoying the stage with this wonderful group. Kellee is wonderful with children. The presence and joy that she brings to her interactions with them is obvious every time I observe her class. The children respond to her smile, her gentle voice, her guidance with words and gestures. The children experience the class as play rather than instruction, though, as a parent, I see the skills that Kellee artfully weaves into each lesson and the reinforcement of those skills, whether they be balance and coordination or taking turns and listening to others. One of the qualities of Kellee’s teaching that makes it so effective is that she is ready to adapt at a moment’s notice to the needs of the children rather than adhering to a strict predetermined plan. My son has special needs, as do many of the children Kellee works with. She has the patience and ability to engage in just such a way with each individual child that they are met and supported exactly at their level. Kellee does this with love that comforts the children yet encourages them to reach beyond their own perceived limitations to new growth. Kellee has a deep understanding of child development, which is visible in the design and pace of her class as well as her holistic approach to teaching as she integrates story, song, movement, imagination, self-exploration and cooperation. She respects the children deeply and honors that every moment is a time of learning for them. Katie and Anna had both been taking dance at another studio at the time and were unhappy. They didn’t like their teachers and they were getting lost in the large class size. Calliope was the perfect fit for our family - and apparently for many other families too. Calliope ended up with waiting lists and outstanding (and jam-packed) end of the year performances. The reason behind all this success was Kellee. She knew every child and family personally. She instructed in a loving and intelligent way. Kids were learning to dance and express movement without restrictions on previous skill or body-type. They were advancing physically and enjoying dance without really realizing how much they were learning. I have worked with Kellee for the past two years, and have first-hand knowledge of her dedication to children, particularly with special needs. Kellee has been leading a Sensory Storytime with me at the Eugene Public Library. This storytime is specifically designed to provide the structure and adaptations needed for young children with special needs to be successful in a community setting. Kellee is both skilled in designing the activities for this program (e.g., integrating activities that focus on providing a variety of sensory stimulation to children), as well as implementing the interventions used during the storytime (e.g., picture schedules, fidgets, changing the activities on the spot to better accommodate children’s needs). Kellee is particularly skilled at designing creative and fun movement activities for the children that help work on their motor integration development. However, the very best part of Kellee is her gentle and patient interactions with children with a wide range of special needs. It is always evident how much she enjoys them, and they in turn enjoy her. We would love to have you join us for some fun at Moving Joyfully. Please provide your contact information below and let us know about any special concerns or requests in the comment box. We look forward to your joyful moves!